A prominent Turkish anchorman of the critical news network CNNTurk and columnist for critical daily newspaper Hurriyet, Ahmet Hakan had been subjected to a brutal attack by four men recently. The assailants had then quickly been caught and taken to Directorate of Combat with Organized Crime where the investigation was to be carried out and their statements to be taken separately. The four men had given similar statements as confession that they had been offered 100.000 TL (~$35.000), and the Turkish National Intelligence Organization (MIT) and the “Chief” is also involved in the situation. The whistleblower from President Erdoğan’s circle “Fuat Avni” had spoken of raids against the critical news networks in the month of August, and several newspaper headquarters had been raided by police, and on September 5th, Hurriyet Daily’s HQ building was raided by an angry mob which seemed to have been coordinated and organized by an MP of the governing AK Party. The attack against Ahmet Hakan came in the aftermath of this raid, and several other Doğan Media journalists have been threatened openly even during live broadcast through social media messages. One of the assailants, K.E. has stated that they were offered 100.000 TL in order to carry out the attack; and the cross-examination of the statements have revealed the planned assault as to how the assailants carried out close examination and surveillance prior to the attack and how they followed the journalist back home. 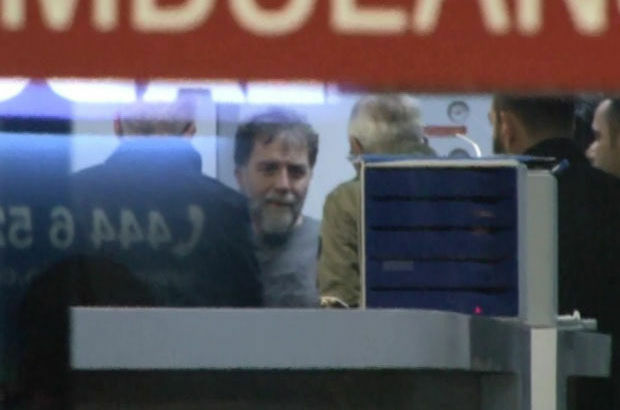 The assailants have now been released except for one who is now under arrest; and all of them have changed their statements after they have been taken to the court house of Istanbul and met the prosecutor. One of the assailants’ statement reveals that they have been taken to a disclosed location and someone who introduced himself as the district chairperson told them that there is a problem with the journalist Ahmet Hakan and he needs to be beaten, the 100.000 TL promised would be arranged through the Ottoman Organization district directorate by someone named Nezir. The assailants claim that they were under drug influence in time of the negotiation and that’s why they had accepted the offer; and they also stated that they were promised immunity and no-investigation as the request has come from the state but would only realize the gravity of the issue once taken to Directorate of Combat with Organized Crime. K.E. also stated that they have been deceived and were subjected to a conspiracy and would file legal complaint about a retired special-ops officer called Y.K.G. who has given them the orders and given false legal information. According to cross-examined statements, Ahmet Hakan was requested to be beaten in such a way that he would be unable to hold a pen and write again; and the Y.K.G. would talk of him as the traitor who provokes for violence. And the assailants were promised that they would receive a hero’s welcome by the security forces, justice, people and everyone as well as the promised sum of money. This entry was posted in AKP, Censorship, Far Right, media freedom, Nationalism, Turkey and tagged ahmet hakan, attack on journalist, cnn, cnnturk, erdogan, turkey. Bookmark the permalink.